In this blog we are going to be looking at the different functions of the brain and how they work, to help give you a better understanding of your child and their behaviours. Did you know we have not one, not two, but three brains? The brain is the most complicated part of our body and is constantly evolving and changing from the moment you are born. Every interaction in the early years of your child’s life all contribute toward developing a healthy brain in your child now, and in the future. Your Brain Is Like an Onion! The human brain consists of three interconnected brains, like an onion, a layer inside another layer – inside a layer. Each part responds to different motivations and so the way in which the brains interact underlies human behaviour. This may help you understand why sometimes you cannot reason with your angry two year old! Their motivations and emotions are mixed and not always that easy to untangle. This is our first brain developed by nature during pregnancy. It is the oldest part of the brain in terms of evolution at about 500 million years old. This could be described as our ‘primal’ brain as it controls the functions that you don’t think about, including our breathing, heart rate, blood pressure etc. You cannot reason with a two-year-old who throws a temper tantrum, for example because they are tired. Their action is being triggered by the reptilian brain which wants to meet their basic need of sleep. The next brain that evolved in humans is called the limbic brain and this is where you will find the amygdala. The Amygdala’s main function is to constantly ask “Am I safe?” and is closely linked to your emotions. It also works with the hippocampus to store memories. The hippocampus is a crucial part of the brain that allows us to remember where we put our keys for example, or how to get back from work or school. Neuroscientists tell us that every interaction you have in the early years of your child’s life and the good experiences you give your child actually goes towards developing a healthy brain in your child. The significant thing to remember is the prefrontal cortex asks the question: How will this make a difference? The limbic brain is motivated by immediate reward and because it works on autopilot, it will often sabotage what the prefrontal cortex is trying to do if there is immediate reward. This can often be seen with children. An example may be that you have spent some time organising an activity for your child which they are interested in and excited about. They hear the ice cream van coming and immediately lose interest in what you are doing. They might have really wanted to do the activity you had planned, but the ice cream will give instant gratification and this is triggered by the limbic part of the brain. The reptilian brain is motivated by the instinctive drive to survive. All it wants to do is stay alive and avoid pain. The first two years of a baby’s life are crucially important and rely on a strong bond with their mothers for healthy brain development. 80% of brain cells grow in the first two years of life and problems in the development can affect people for the rest of their lives. This is why it is so important that babies feel genuinely loved. Love is the key for emotional regulation. Emotional regulation describes someone’s ability to respond to environmental stimulants with a range of emotions, in a controlled manner. Once children develop these emotional regulation skills, they are much more likely to form meaningful relationships as adults. Take a deep breath – count to ten! Remember – You are bigger, stronger, more experienced and skilled at everything. (Although sometimes you may not feel like it – you are!) Children on the other hand are just beginning to develop the ability to manage emotions and behaviour. Waiting for things and wanting things they cannot have, is very very difficult! 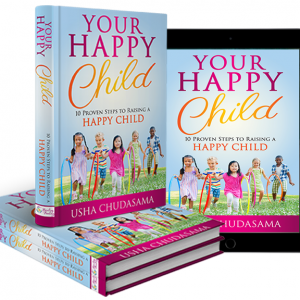 You can read about the brain in much more detail in my Best Selling book, “Your Happy Child, 10 Proven Steps To Raising A Happy Child”. There is also a whole chapter with perfect exercises and activities you can do with your children to get their brains working in the right way, some of which we will cover next week! Click here to buy your copy on Amazon or if you want a signed copy you can order directly from my website. ← Relaxation, why is it important and why should we help our children relax?